Lock in a great price for Clarion Inn Lake Buena Vista, a Rosen Hotel – rated 8.3 by recent guests! The location of the hotel was amazing and close to everything you could want! The rooms were very clean and roomy. The pool was very relaxing and big. I have stayed here before and will continue to visit this hotel. I even left a day early and they refunded me which I was not expecting! They have an awesome porch with comfortable seating and lights for night time which was very relaxing! It is too crowded. Toasters half work. I think the cereal and coffee were ok. Yes beds were comfortable but the loud drilling at 9am was annoying!! The rooms were nice. The bathroom was very nice. I requested a room that was not near the highway, which they did provide for me. The bed were comfortable. We only needed the room for somewhere to sleep and shower and it met our expectations for the price. We did not take advantage of any other amenities that were offered. It's location is perfect and the rooms were nice and clean. Staff was very courteous and food down at the buffet was great. Planning to stay there in future visits if the rates stay the same or close. For the most part hotel was very clean and staff very accommodating. Location was great. 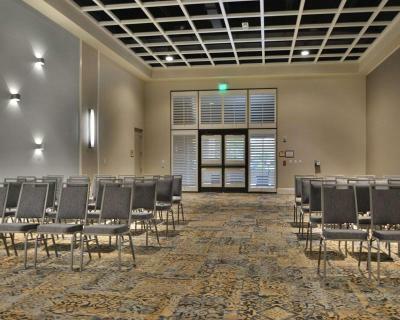 Clarion Inn Lake Buena Vista, a Rosen Hotel This rating is a reflection of how the property compares to the industry standard when it comes to price, facilities and services available. It's based on a self-evaluation by the property. Use this rating to help choose your stay! One of our top picks in Orlando.Walt Disney World is 0.8 mi from the Clarion Inn Lake Buena Vista, a Rosen Hotel. The property offers shuttles to Orlando theme parks. It features 2 restaurants and 2 outdoor pools. Rooms feature free WiFi. All guest rooms are equipped with a microwave and a refrigerator. Each room also includes a laptop safe box and a desk with chair. This Florida hotel provides ticket and transportation services and a tour desk. There is a playground and 24-hour video game room. An airport and theme park transfer service are available for a surcharge. The on-site Boardwalk Buffet Restaurant serves breakfast and dinner while Comfort Zone Bar and Grill is open for dinner. Lite Bite Deli offers snacks. Lake Buena Vista Clarion Inn, a Rosen Hotel, is 3.2 mi from SeaWorld. Universal Orlando Resort is 8 mi from the property. When would you like to stay at Clarion Inn Lake Buena Vista, a Rosen Hotel? This air-conditioned room has a flat-screen TV with cable channels and a sitting area. House Rules Clarion Inn Lake Buena Vista, a Rosen Hotel takes special requests – add in the next step! Clarion Inn Lake Buena Vista, a Rosen Hotel accepts these cards and reserves the right to temporarily hold an amount prior to arrival. Children eating free at the buffet must be accompanied by 2 paying adults (maximum 3 children). Very clean, organized, confortable hotel. Very good price. Great location, friendly staff, bar prices good value. Gated. Very clean room. Excellent bed. Great location. A little outdated and dark in the room. The pool had a LOT of chlorine. Clean and the staff was super nice. Good for families. Food nearby is also a big plus. Great value. Property was fine but I've stayed at better hotels. Kids running by door. Was supposed to be no smoking yet people were smoking all over. Rooms need renovation. Tiny bathroom. Very limited shuttle service to Disney and Universal. Elevators consistently out of order. Limited security. ALOT of noise from highway. Uber adds additional charges once accepted - beware! The battery of our room lock was empty, had to walk back to the reception and ask for help. A few minutes later security arrived and opened our door. About 30 Minutes later a craftsman changed the batteries. Room size for three people a little bit too small. Location is near Disney resorts in Orlando and they offer free shuttle transport to them. It's a huge complex with a lot of units and reception staff was friendly. Not really anything. This was probably one of the best hotel beds I've ever slept in. I've stayed in very upscale places too.